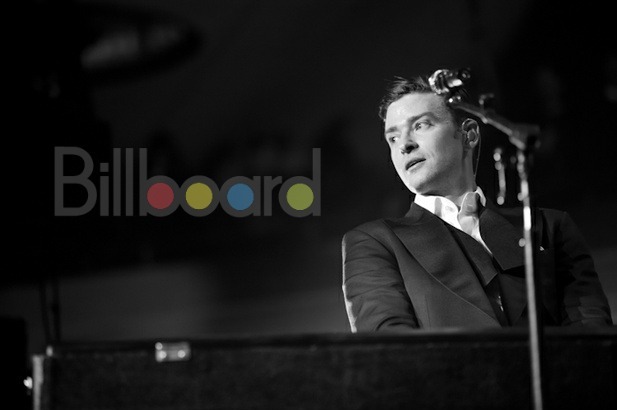 Following the launch of his solo career after soaring to success with *NSYNC, Justin Timberlake has been a force on Billboard charts. He's tallied 16 top 10 songs, including four No. 1s, on the Billboard Hot 100. On the Billboard 200 albums chart, his first solo set, 2002's Justified, reached No. 2, while his next three have all debuted at No. 1: FutureSex/LoveSounds, in 2006, The 20/20 Experience and The 20/20 Experience (2 of 2), the latter two both in 2013. 16 - "Like I Love You"
13 - "Not a Bad Thing"
11 - "Rock Your Body"
10 - "Cry Me a River"
7 - "What Goes Around...Comes Around"